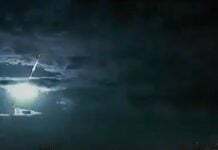 The French event occurred over the city of Bordeaux (West of France) and it has been reported so far from about 20 witnesses. 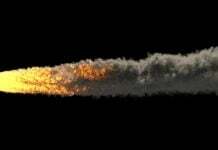 The AMS received 85 reports so far about this event that occurred over Arizona. 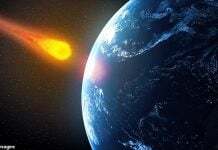 But also people from Arizona but also from California, Nevada, Utah and New Mexico saw the bolide. 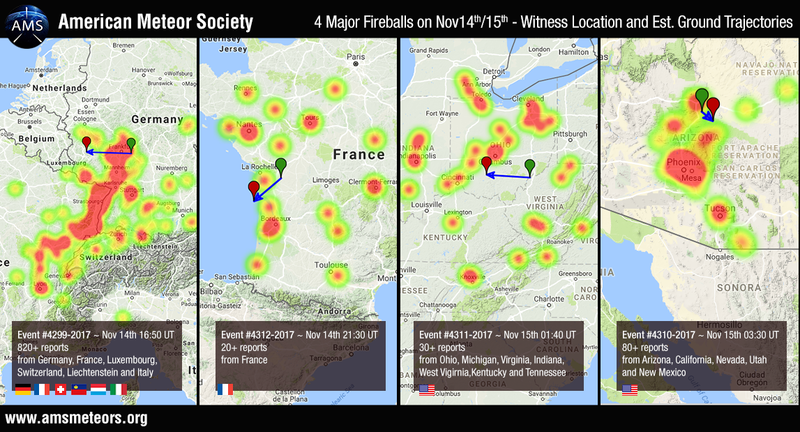 34 reports of a fireball over Ohio. But sightings also reported in Michigan, Virginia, West Virginia, Ohio, Kentucky and Tennessee. It was a busy night for the Meteor Societies AMS and IMO (International Meteor Organization).